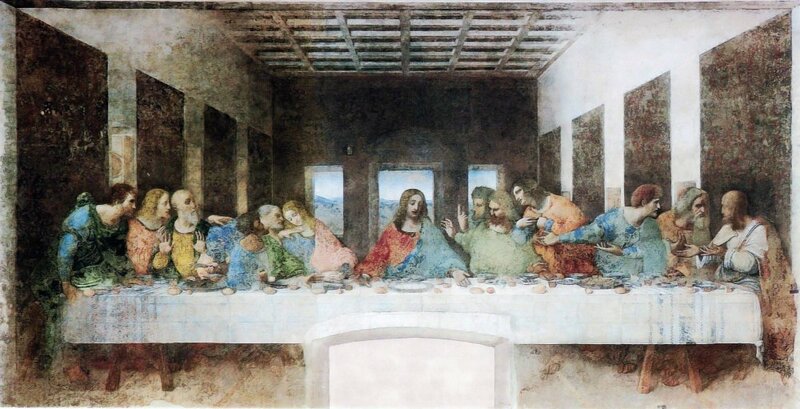 Leonardo Da Vinci’s painting of the Last Supper is one of the most recognized paintings in the world. Painted as a mural on the wall of a church in Milan, Italy in the late fifteenth century, this work of art is renowned the world over for capturing one of the most significant events in the New Testament story of Jesus and His earthly ministry. 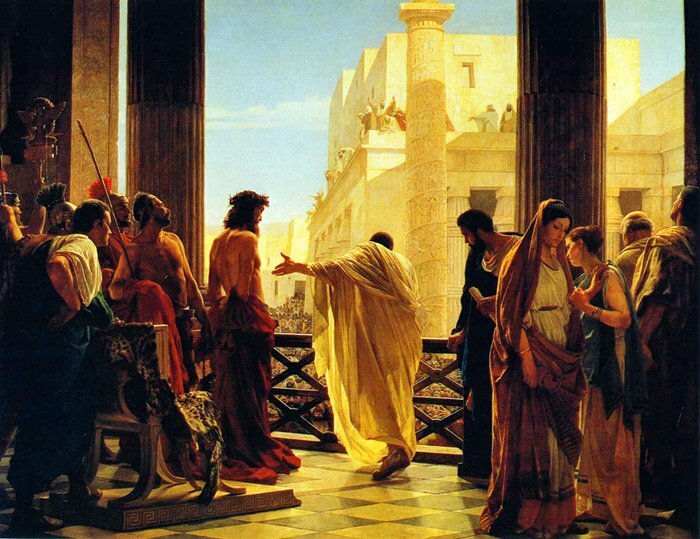 The setting for the painting is the evening of the Passover Meal that Jesus shared with His disciples, just before his arrest, trial and crucifixion. At this Passover Seder, Jesus told His followers that He was going to be the Passover Lamb for the whole world and that His life would be poured out as a ransom for the sins of many. He also told them that He would be betrayed by one of His own disciples. 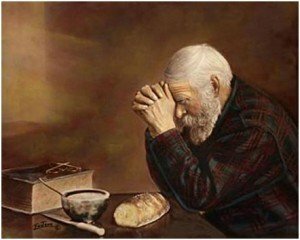 This seminal event in Christianity is still celebrated every time Christians take the Communion Meal. Unfortunately, this wonderful painting of the event is inaccurate in almost every single historical detail! Huh? How is it misleading and inaccurate? Let’s look at the details and see. The thirteen men in the picture are definitely light skinned, fair haired Europeans dressed in fifteenth century Renaissance clothing. The Jewish Rabbi from the Galilee has been recast into a fifteenth century Renaissance man to fit the image of the prevailing culture! The building in which the meal is being held resembles an Italian Palace with tall walls and multiple corridors. Jesus took the Passover Meal in a small upper room in Jerusalem. 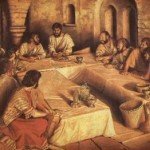 The Passover Meal is always taken in the evening after sundown to replicate the Exodus Story. In Da Vinci’s painting, blue sky and clouds are visible through the windows, making it a midday meal. The meal for the Passover was always the same; roasted lamb and matza (unleavened bread). In the mural, fish and loaves of leavened bread are on the table! Also, there are crystal glasses of wine on the table. Glass was not used by the Jewish common people and the goblets would have been made of wood or clay. All the participants of the meal are sitting upright in chairs at a long table with Jesus in the center position. This reflects the fifteenth century custom of having the host or most honored guest in the center position. However, the Jewish custom of Jesus’ time period was to recline on the floor on your left elbow, with pillows for support and dine around a three sided low table called a triclinium. The guest of honor was always placed in the second position from the right end (see picture). A long table and chairs was not part of the seating arrangement during this time period. The observance of the Passover Meal celebrating God’s great deliverance of His children from the hands of the cruel Pharaoh is the landmark event in Jewish history. Fourteen hundred years after the Passover events took place, Jesus and His Jewish disciples were still celebrating this miraculous event by eating the Passover Meal together (And he said to them, “I have eagerly desired to eat this Passover with you before I suffer. – Luke 22:15). 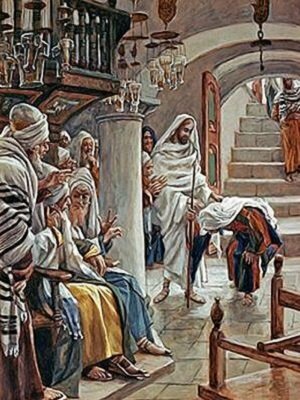 It is regrettable that the Jewish Rabbi Jesus and his disciples have been changed and westernized to the point that we only able to picture them in our present day Gentile culture. Christianity has undeniably Jewish Roots. Jesus, His disciples, and almost all the early believers were Jewish. Today, we don’t even think of Jesus as a Jew – much less consider our faith in light of its rich Jewish heritage. The same mistakes that are in DaVinci’s painting are also mistakes that are being made in modern Christianity. We have westernized and “Gentilized” the Christian faith to the point that we have completely lost sight of its Jewish beginnings. Modern day Christians would do well to learn and know their Jewish roots and heritage and try to understand the Bible based on the culture of the time period in which it was written. The better we know the world of the Bible, the better we will understand the words of the Bible. The Christmas Story is always portrayed and remembered as a wonderful and warm event with pleasant and happy feelings. The soft manger scene with Mary and child, the joyful angels, excited shepherds, and expectant and adoring wise men are the way the story is always told. We limit our story from the Text to the positive part that is full of heavenly promises and peace on earth and good will to men. However, there is a very disturbing part of the text that is never mentioned in the Christmas Story and that is the killing of the babies by Herod. This slaughter of innocent children vividly portrays the violent world into which Jesus was born. Only Matthew includes this hideous story in his events of the birth of Jesus. Why did Matthew include this part of the birth story in his gospel? We have to remember that Matthew was a Jew and his target audience was his fellow Jewish brethren. His main purpose was to prove to his Jewish readers that Jesus was the promised Messiah that had been expected for generations. He did this by showing how Jesus, in His life and ministry, fulfilled the Hebrew (Old) Testament Scriptures. Matthew uses more quotations from the Old Testament than any other New Testament author and uses a lot of Jewish terminology in his writings. 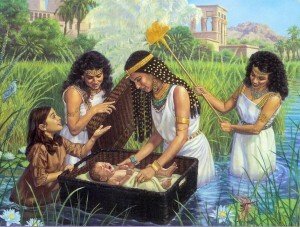 What is the significance of the killing of the babies in the Christmas Story and what does it have to do with Jesus as the Messiah? Why did Matthew and not Mark, Luke, or John, make sure that this part of the Christmas Story was known? This image of Jesus as the new or second Moses is found throughout the Gospels and the Epistles, but this is a place that I hadn’t seen it before. Matthew was making yet another connection from the Hebrew Testament to Jesus as He fulfilled one prophecy after another to show that He was the promised Messiah, sent by God. It makes for another fascinating piece of the puzzle that is, “God’s very words to us”, the Bible!